Glass canopies and glass effect polycarbonate all you to see the sky and clouds with an uninterrupted view to to gives the elegant feel of quality to the roof. Glass is the more more expensive, but longer-lasting and easier to clean. 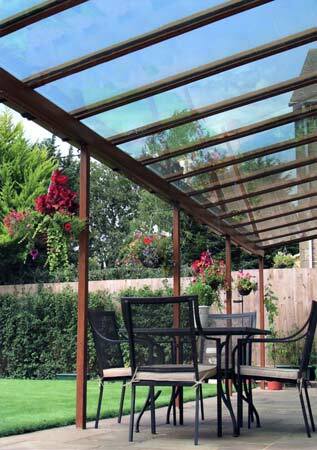 Polycarbonate, though cheaper, is 200 time stronger than toughened safety glass. Our roofs are all manufactured to order and we check every roof in great detail to ensure it more than matches any loading requirements.